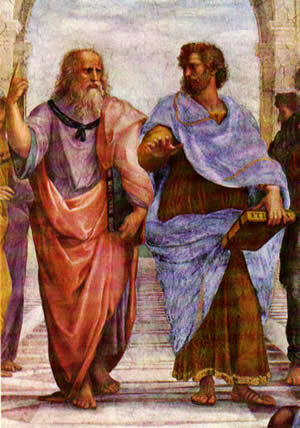 Aristotle lived in ancient Greece more than three hundred years before the Common Era (or Before Christ). In those days, most people believed that many gods ruled the universe. A happy god, for instance, might allow an abundant harvest while an angry god would show his fury with storms or earthquakes. Aristotle decided he could understand the world through observation and by using logic and reason. Later scientists called Aristotle the Father of Natural Science because centuries after the ancient scholar’s death, his methods formed the basis of the scientific method. Most people in Aristotle’s time believed the earth was flat, but he did not agree. The Greek thinker realized that a lunar eclipse occurred when the earth came between the sun and the moon. The shape of the earth’s shadow, Aristotle observed, was round. If the earth were flat, its shadow would have a much different form. Next, Aristotle considered the position of the North Star. The farther north you journeyed, the closer the North Star seemed to move to the middle of the sky. But if someone were to travel south of what we now call the equator, the North Star could not be seen at all. Finally, Aristotle watched ships sailing into port. He noticed that at a distance, he could see the tops of their sails before he saw the rest of the ship. Aristotle deduced that this was because of the curvature of the earth. If we lived on a flat earth, none of Aristotle’s conclusions would be accurate. We know today that Aristotle’s conclusions were correct because humans have traveled around the globe and we have seen pictures of the earth from space. 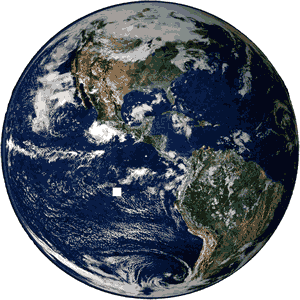 We now know that Aristotle’s conclusion was correct because we have seen photographs taken of the earth from space.